SFPA welcomes JDAP decision – At last some sanity! 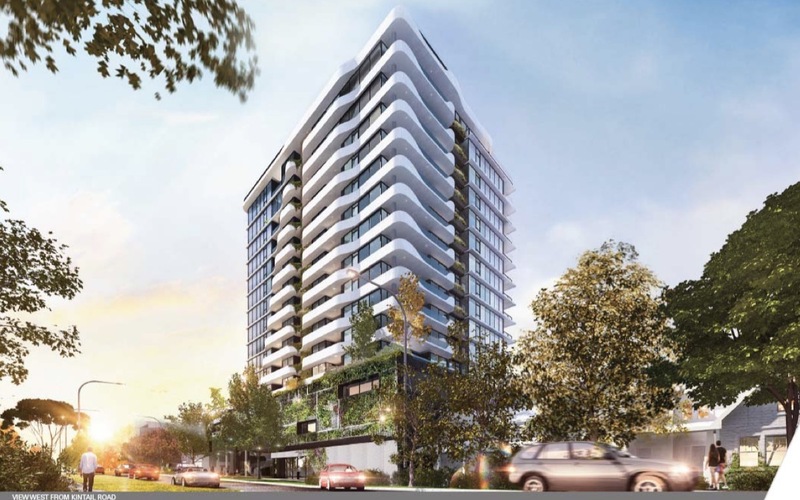 The Swan Foreshore Protection Association has welcomed the decision of the key state planning panel to not approve a 16-story apartment development in Kintail Road, Applecross near the Moreau Mews roundabout. The proposed building would have been similar in height to the Raffles apartment tower and well beyond the normal 10 storey limit applying to the site. City of Melville CEO Shayne Silcox and his planning officers had recommended the proposal be approved. However, the Metro Central Joint Development Assessment Panel (JDAP) voted on Monday by four votes to one to reject the development application. Mr Clive Ross, president of the Swan Foreshore Protection Association (SFPA) representing Applecross and Mt Pleasant residents said the decision brought some sense to development in the Canning Bridge Activity Centre zone. “It sends a strong message to developers eyeing opportunities in the precinct that they can no longer consider the sky is the limit, even if the Council’s planning department is onside”, he said. The development was in an area designated M10 meaning there was an entitlement to a maximum of ten stories with discretion for bonus heights for exemplary buildings providing significant community benefits. “The majority of the JDAP members expressed concern about the subjective nature of decisions around the exercise of this discretion and determined that the so-called community benefits did not justify the exercise of a 60% discretion to allow 16 storeys,” Mr Ross said. Concerns were also raised about a number of safety issues which had not been adequately addressed. Despite City of Melville officers recommending the development be approved, Mr Ross said it was clear from the presentations from local residents – including a submission and presentation by legal representatives of the SFPA – that the proposal was not in keeping with the Canning Bridge Activity Centre Plan (CBACP), at least as envisaged and understood by residents. Mr Ross acknowledged that the City of Melville Council had similar concerns in rejecting the officers’ recommendation at its recent meeting and that the two Applecross Ward representatives – Councillors Pazolli and Kepert – presented to JDAP on behalf of Council calling for the development to not be approved. He said the JDAP ruling had brought some sense to development within the Canning Bridge precinct. “It is surprising that what was obvious to residents and to four of the five JDAP members , was not also obvious to some Melville councillors and the City of Melville planning officers. The officers should never have recommended this proposal for approval,” Mr Ross said. The sole JDAP member in favour of approving 16 storeys was City of Melville councillor Nicole Robbins, one of two councillors delegated to represent the municipality on the JDAP. The other JDAP member from Melville was Cr Tim Barling who opposed the application. Mr Ross said the Melville officers’ recommendation made a mockery of having both an M10 and an M15 zone if developments in the M10 area could exceed heights in the M15. At the meeting, the City of Melville planning officers agreed that currently there was effectively no maximum height limit in those parts of the CBACP within the City of Melville. Mr Ross noted that the Council was considering that issue and called on Council to heed the JDAP decision and uphold the concerns of residents to ensure effective height limits were observed. “We hope that a more objective approach will now be taken to ensuring any community benefits are authentic and of real and lasting benefit to the community. “This matter must be addressed with urgency to let developers know that the CBAC is not open slather and that residents and ratepayers can be confident that their interests do matter” Mr Ross emphasised. As a result of information revealed by the City of Melville planning officers at the hearing, SFPA will now seek legal advice on whether the approval of the Sabina and Precinct developments were lawful.